TTD Archana Seva tickets booking online starts now. 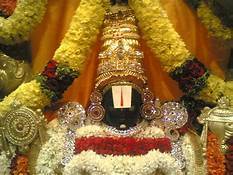 Check the Tirumala Archana seva tickets availability, price and experience details. TTDSEVAONLINE website was going to release the Arjitha Seva tickets in online on every first Friday of every month. Archana, Thomala are the most revered sevas and hard to get. People often endup paying many times more money to get those tickets in black. But to solve this problem TTD has started issuing these tickets in Lucky dip. People are allowed to register for Random allotment in electronic lucky dip. People need to sign up for this Lucky dip with in 72 hours of tickets release. Selection list was released after 12:00 PM following Tuesday. Registration will be closed on 10:00 AM on following Tuesday. Devotees need to know about the basic things done in Archana seva. This is not a voluntary service, but an Arjitha Seva procured at some cost to participate in Poojas done to Idol. The full name of this ticket is Sahasra Nama Archana Seva. It is done twice a day morning and evening. Performance time is 4:00 AM & 4:00 PM exactly. Pilgrims must appear in traditional dressing like dhoti & saree mentioned by TTD board. No cellphones, pooja articles such as flowers, batti etc are allowed in this pooja. Price for one person to take part in this seva is 220 rupees. 2 small laddu per each ticket is given as prasadam. But the speciality of this seva is devotees are allowed to sit in inner sanctum of temple from the first door itself. So they have a nice opportunity to see the IDOL for more than 25 to 40 minutes. Previously TTD board has released these tickets 10 in number per day via online. But due to number of complaints that Archana Seva and Thomala Seva tickets are blocked, TTD resorted to Electronic Lucky Dip allotment. Only registered users are eligible to get Archana or Thomala Seva tickets. Current booking is closed many days ago. But the Random allotment at CRO office in tirumala is the only chance to get the tickets. Price at both instances is same i.e 200 rupees only. Check the next available dates at TTD online website. Plz Let me know how to book Archana seva tickets. Plz Let me know how to book Arcana seva tickets.